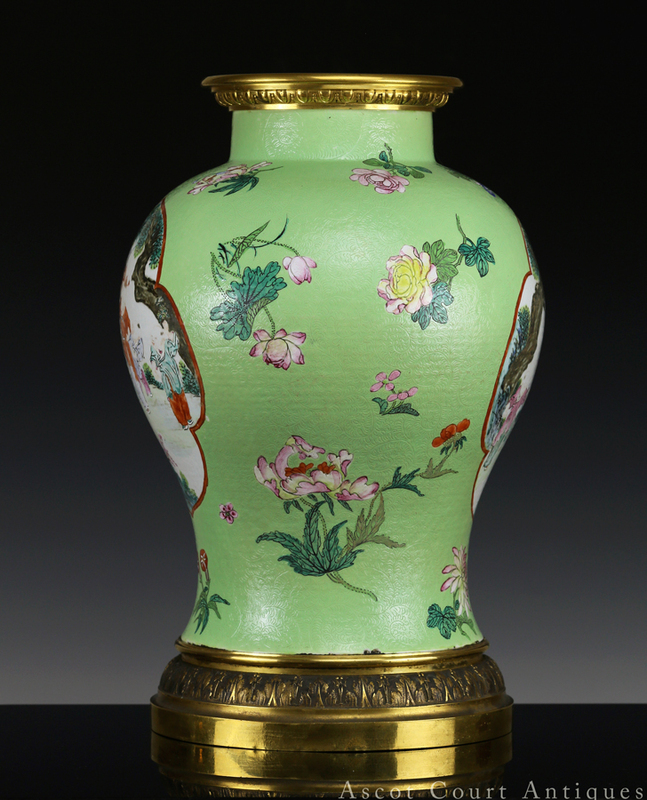 A late Qianlong – Jiaqing period baluster jar vase, mounted in 19th century French ormolu gilt bronze, and decorated with famille rose floral sprigs against a lime green sgraffito ground. 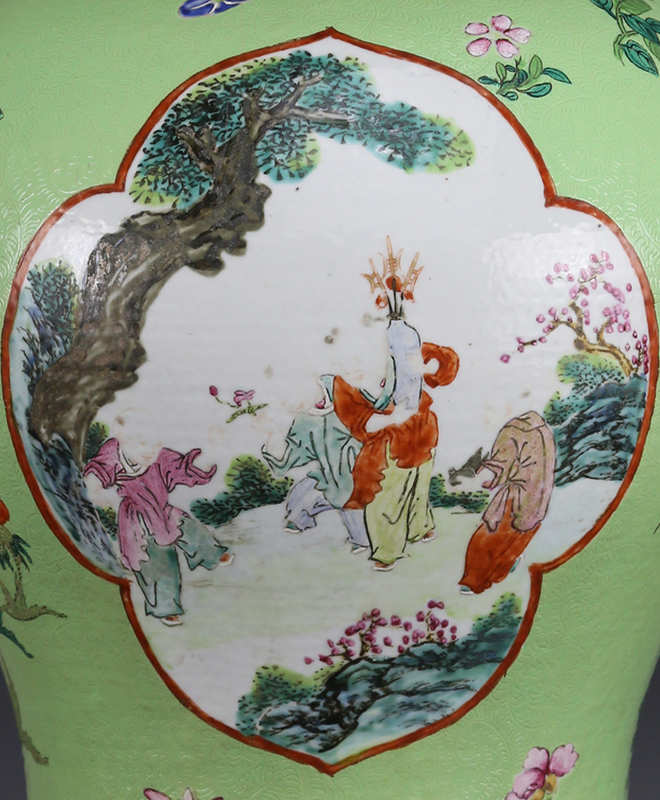 Both sides of the vase feature famille rose images of aristocratic “boys at play” set within ogival cartouches. 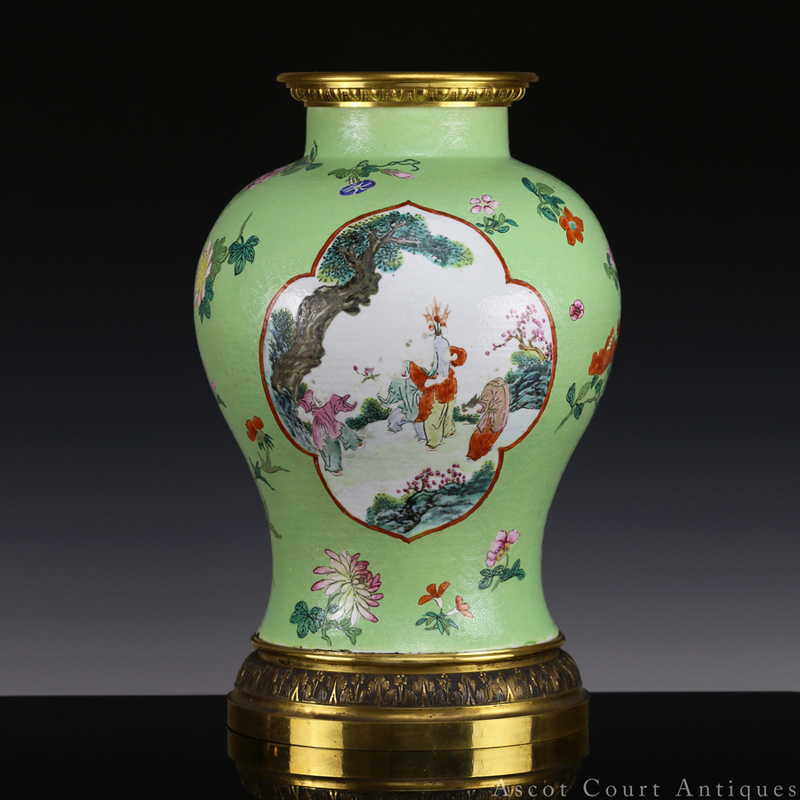 The vase’s lime-green ground is produced from a low-fired enamel rather than a glaze. 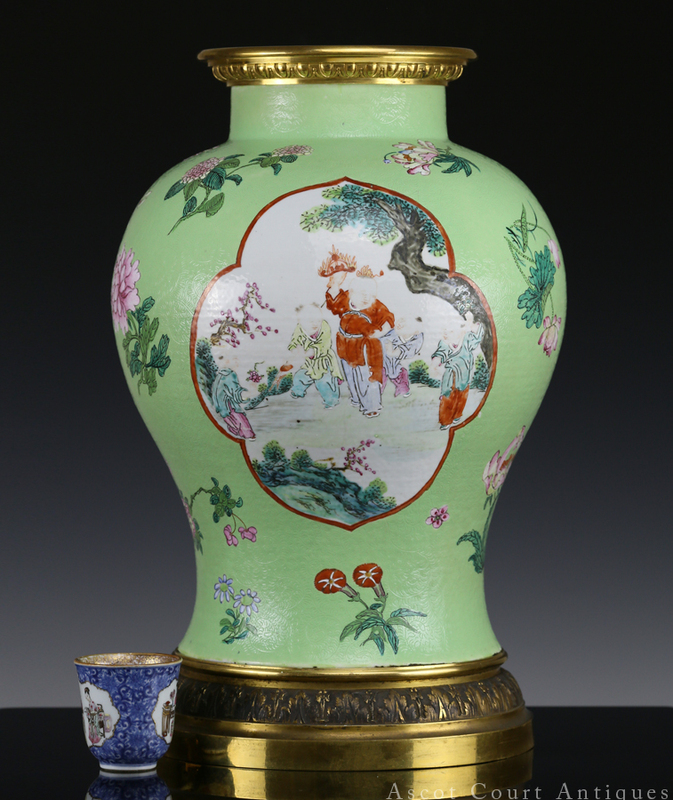 Potters would have had to fire the piece three times: first, the vase would have been covered with a thick, opaque white glaze and fired at a high temperature; then the piece would be enameled in lime-green, and incised with swirling patterns using the scraffito method, before firing in a low temperature kiln; finally the famille rose flowers and boys at play would be added and fired once again at a low temperature. 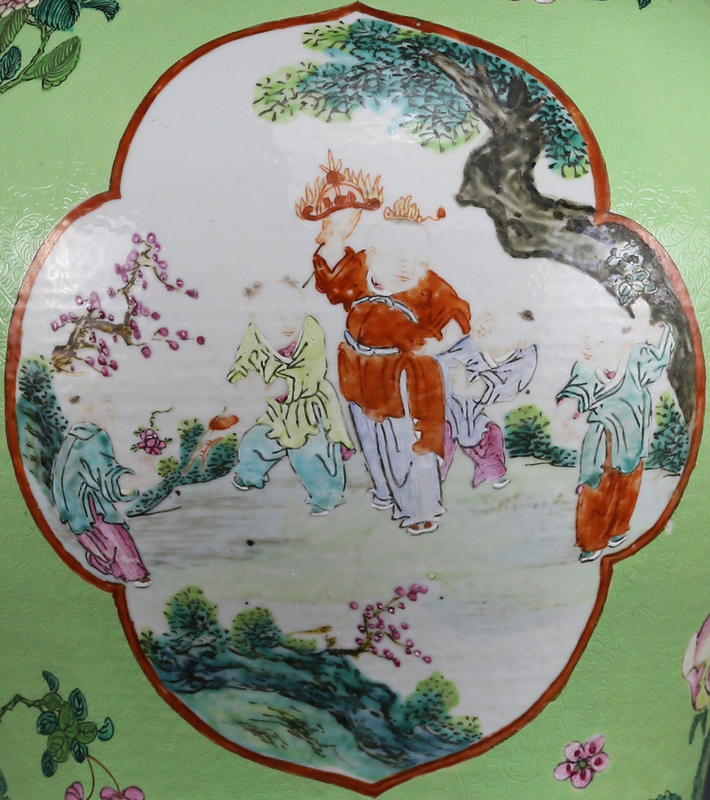 Lime-green is one of the more rare enamels to come out of Jingdezhen workshops in the early 18th century. 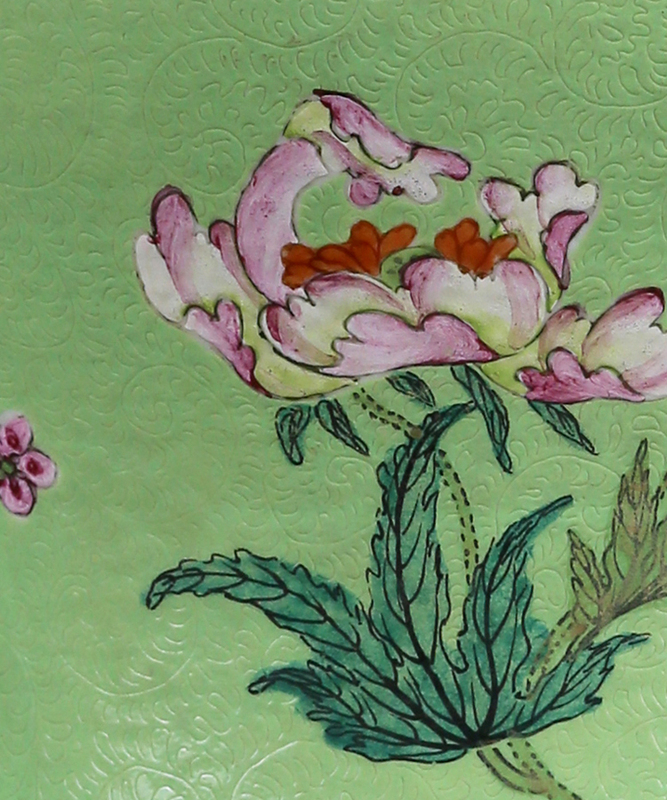 Potters mixed lead-antimonate with copper to produce this electric, daring green. 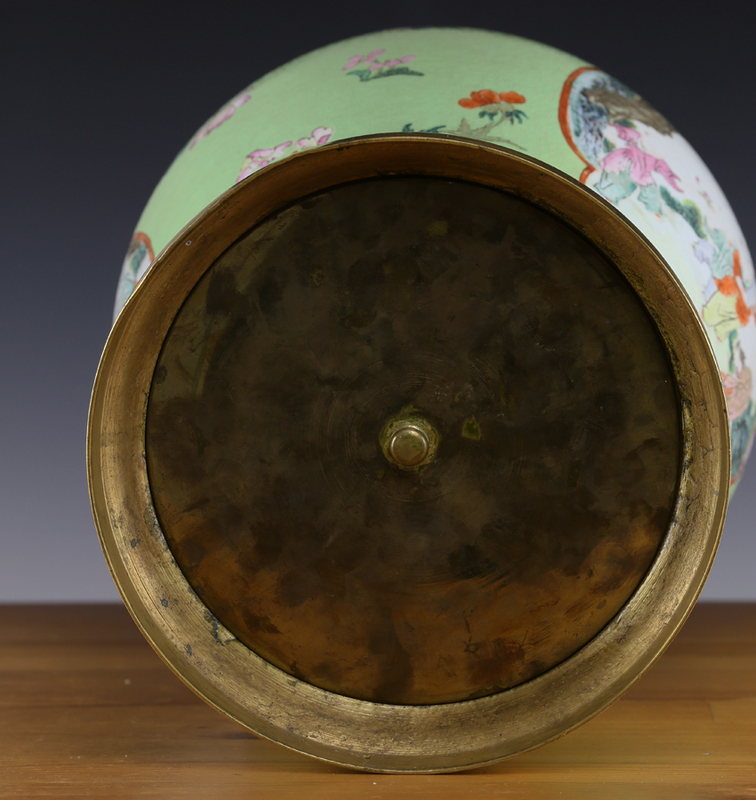 In many ways it represents the technical and innovative powers of 18th century Jingdezhen kilns. 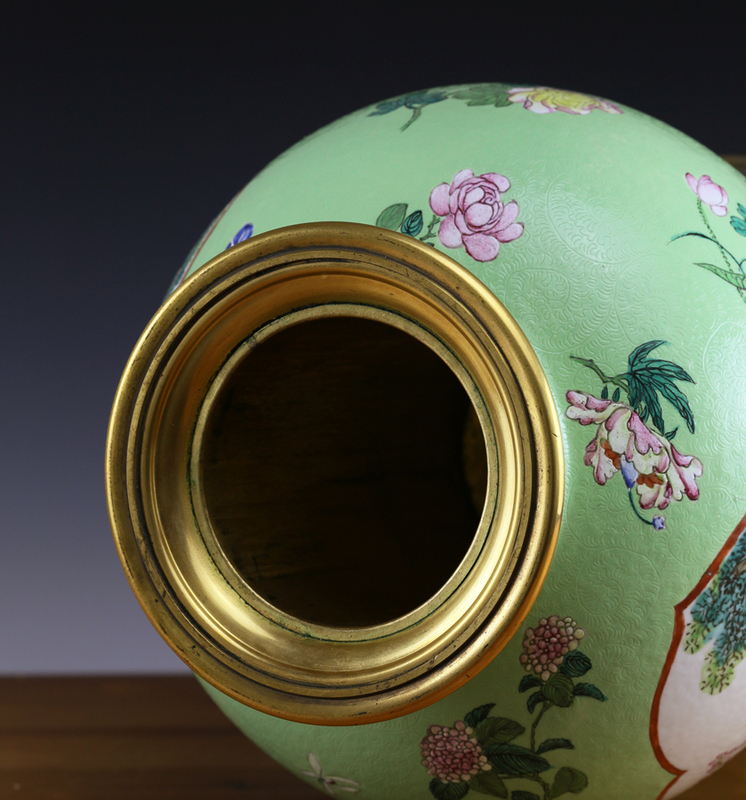 The swirling sgraffito texture seen against the surface of this vase is another technical tour-de-force. 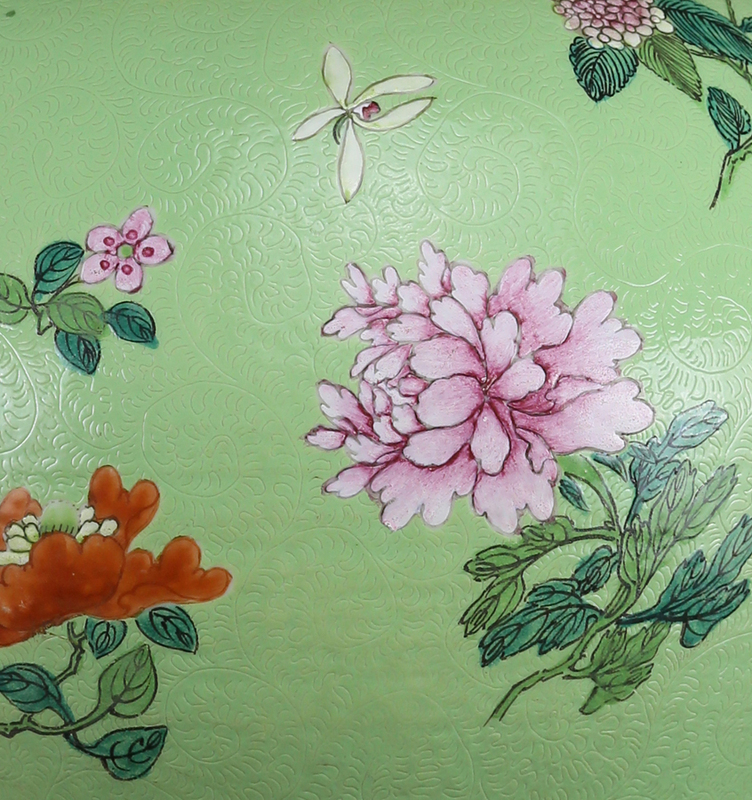 The potter-decorator would have had to carve out the designs using a fine needle-point by hand, without the aid of stencils or repetitive machinery. 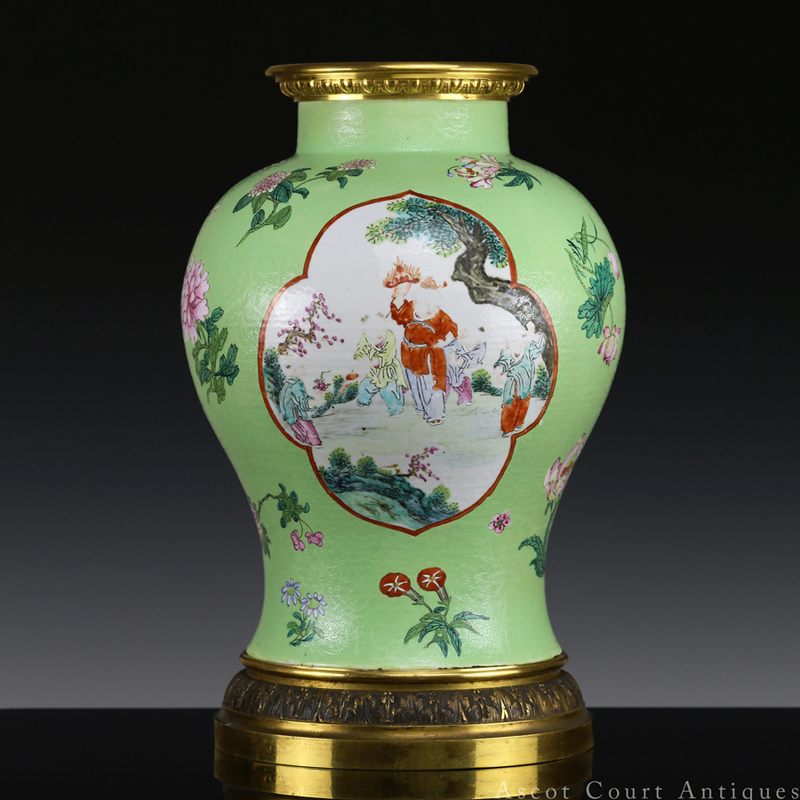 Given the large surface area of this vase, it must have required both concentration and patience.